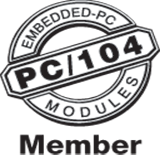 Whether you're talking about PC/104 and PCe/104 for rail and military applications or COM Express for gaming and IoT applications, small-form-factor solutions for embedded computing are hot across multiple markets. Reduced size, weight, and power (SWaP) requirements are spurring innovation in smaller footprint designs that pack as much performance as larger solutions. The worldwide market for virtual and augmented reality is estimated to report an exponential CAGR of 92.50% between 2016 and 2024, increasing its overall opportunity to US$547.20 bn by the end of 2024. DIC324 digital I/O module is implemented in PC/104+ format. ARBOR announces the immediate availability of the EmQ-i2401 Qseven module, based on the new Intel(r) Pentium(r) / Celeron(r) processors (Intel(r) codenamed Apollo Lake).